LOCAL politicians have described Theresa May’s confirmation that the UK is to leave Europe’s single market as “deeply worrying” and warned it could present “enormous challenges” for the Shetland economy. After months of uncertainty, in a speech on Tuesday the Prime Minister said she would not seek to retain membership of the single market as part of negotiations to leave the EU, which will commence when Article 50 is triggered in March. SIC leader Gary Robinson, Northern Isles MP Alistair Carmichael and Shetland MSP Tavish Scott said they were worried by what that could mean for key isles industries such as seafood and agriculture, which export large volumes of fresh produce to EU nations. Aith-based farmer Jim Nicolson of the NFU’s Shetland branch echoed those fears, though Shetland Fishermen’s Association spokesman Simon Collins said his industry remained “bullish” about its prospects. Scotty Van der Tol, of the local Leave.EU campaign, said May was right to recognise the UK couldn’t remain in the single market or the customs union. But Robinson said: “I think it’s deeply worrying for us here in Shetland and we might have more reason than others to be concerned about the direction this is taking. He pointed out that Scotland, and the Highlands and Islands even more so, was a net beneficiary of European grants. Robinson said it was difficult to see how UK trade arrangements outwith the single market wouldn’t involve tariffs of some kind. May’s speech referenced low-tariff agreements through the World Trade Organisation (WTO), but the council leader said that organisation was “opposed to agricultural subsidies of the kind that Shetland has benefited from through its membership of the EU for many years”. If it formed part of the answer “that’s really flawed and really is a dangerous step for us in respect of crofters and farmers”. Nicolson said his personal view was that losing membership of the single market is “certainly going to make things extremely more difficult” for Shetland agriculture. He “would not be optimistic” about the chances of obtaining a tariff-free deal and thinks it would be “fairly difficult to find alternative markets” – especially for the isles industry which faces additional production costs. Robinson acknowledged fishermen were much more optimistic but said he felt there “isn’t a lot of substance, there’s a lot of bluster – this phrase about ‘fishing in a sea of opportunity’”. 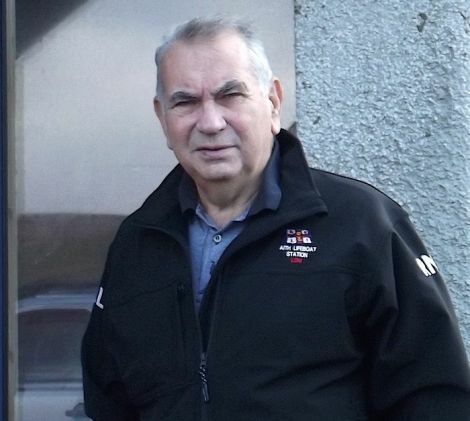 “I think fishermen have as much to worry about as farmers do,” he told Shetland News. In particular maintaining access to European markets to export seafood – which makes up around a third of the isles’ economy – is imperative. He added that European fishermen catching in UK waters pre-dated the Common Fisheries Policy (CFP) by centuries, with the Dutch catching in the 1600s under a rule of “land kenning” where “they could fish provided we couldn’t see them from the shore”. Collins, however, said that “without being complacent, I think we’re actually quite bullish” because seafood is “not like a manufactured good” that is easily replaceable with alternatives. Regarding the question of tariffs, he said that either way “we’re confident we’ll be able to sell through tariff systems as we do outwith the UK in any case”. He said that if the UK was “not going to the EU with bended knee and not seeking favours”, it would be “less likely they’d give away access to our fishing grounds, which is our big worry”. But Liberal Democrat parliamentarians Carmichael and Scott were both notably less sanguine about the prospects for fishing. Scott said May had “raised the potential of Shetland’s fishing industry being a bargaining chip”. “We know that Article 50 will be triggered by March, starting the negotiations that will take the UK out of the EU,” the MSP said. “What we don’t know is where fishing stands in the Prime Minister’s list of priorities. “But she spoke about Spanish fishermen, not the Shetland or Scottish industry so I suspect it’s rather low down. 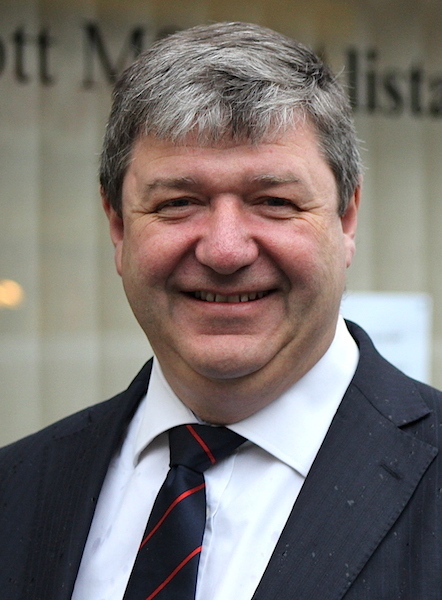 While he understood why the catching side of the industry saw opportunities, Carmichael said those would “only be as good as the political will of the government that’s delivering them”. While senior management with big oil firms, banks and car manufacturers have ready access to government ministers, the same doesn’t apply for fishermen or crofters, Carmichael pointed out. He can foresee oil industry executives getting “specifically tailored exemptions” but the same deal for Eastern Europeans working in fish processing factories “seems a bit less likely”. Speaking more generally, Carmichael said the Tory government “clearly still don’t have any understanding of the enormity of the task ahead of them, and while that is their problem, it becomes a problem for us all”. Knowing May from his time in the Tory-Lib Dem coalition, he does not expect her to “change easily” from the position she has outlined, but hopes “they do listen to informed voices in the different sectors – manufacturing, exporting industries in particular”. While he expects major economic players such as the finance industry to get priority, the “cumulative total of the smaller players is still massively important, and these voices have still got to be heard”. After May relented and said the Westminster parliament would get the chance to sign off the terms of the Brexit deal, Carmichael described that as a “significant concession”. “I would say, logically, that if there is to be approval given to the deal then that should be given by the people in a referendum, not by a vote in parliament,” he added. 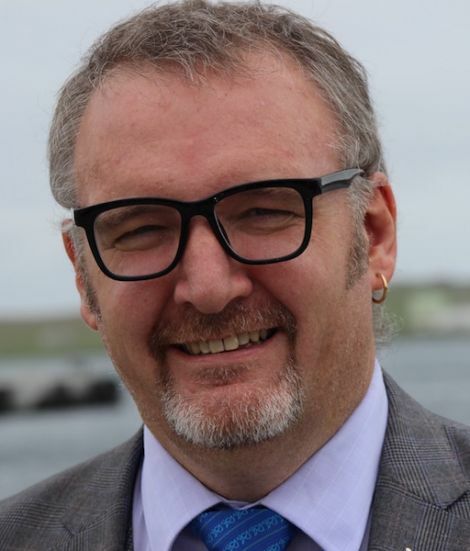 SIC development committee chairman Alastair Cooper said the impact on Shetland’s economy depended on securing “the best deal we can for our local fishing industry and aquaculture”, especially with a lot of whitefish – and to a lesser extent salmon – being shipped off to EU markets. Van der Tol, a spokesman for the local Leave.EU campaign, received May’s speech much more warmly. “She is saying the right things and recognises that we cannot remain in the single market or customs union,” he said. “The fear is that the Liberal Democrats and Labour, who have no respect for democracy, will abuse their position to try and thwart or undermine either Brexit or the negotiation process. “Tim Fallon and Jeremy Corbyn’s ‘little Europeaner’ rhetoric today have shown they and their parties are both still clueless to how democracy works and the meaning of self-governing as voted for in the referendum.